And we certainly don't owe him a cash prize. It is morally reprehensible that the Trudeau government is reportedly considering an agreement to offer convicted terrorist Omar Khadr a full "apology" and award him more than $10 million in compensation. Despite what this government wants Canadians to believe, Omar Khadr is not a victim. Omar Khadr is a convicted terrorist and war criminal. His personal and deliberate actions took the life of medic Sergeant First Class (SFC) Christopher Speer from his wife and young children. Mr. Khadr was an active and willing member of the Taliban. He built and planted bombs for the Taliban. He worked as a translator for the terrorist organization. His conscious and deliberate, premeditated and violent actions, fuelled by a devotion to intolerance and hate, deserve the strongest condemnation. They should not be rewarded. Omar Khadr comes from a family deeply connected to the Al Qaeda terrorist network. 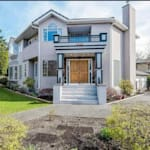 His father, Ahmed Khadr was arrested and charged with aiding terrorism in relation to the bombing of the Egyptian embassy in Pakistan in 1999 that saw 19 people killed. At that time, the Canadian government considered him the highest-ranking Al-Qaeda member operating in our country. In the 2003 Ahmed was killed fighting alongside Taliban and Al Qaeda members. Another son Abdul was injured in the same airstrike. Omar Khadr looks out the window of his home on May 9, 2015, two days after being freed after having spent nearly half of his life in custody. The details of the firefight that injured Omar Khadr prove he was an active terrorist fighter and not the innocent child portrayed by some. The firefight lasted over four hours, within which time there were multiple opportunities for Taliban members to surrender. Omar Khadr fought on. Even after Mr. Khadr was wounded and pulled out of the fight, he cursed the American personnel working to save his life, and told them he wanted to die as a martyr. Of course, the Trudeau government will say he was just a "child soldier." This is a reprehensible defence that denigrates the trials and tribulations of real child soldiers. Even in Canada, those who commit similar murderous crimes are tried as adults. 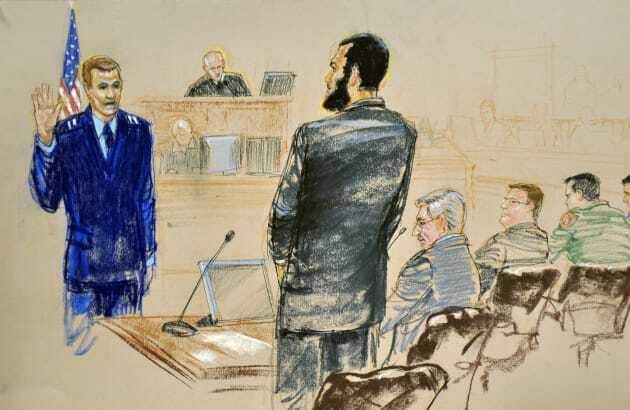 A courtroom sketch shows defendant Omar Khadr (C) pleading guilty under oath to all five terrorism charges against him in a U.S. war crimes tribunal. During the civil war in Sierra Leone, state forces kidnapped children as young as seven and forced them into combat. Their captors forced them to consume alcohol and hallucinogenic drugs. Children were sexually exploited, raped, forced to commit murder and were even made to mutilate others. They were child soldiers. By contrast, Omar Khadr was less than two months shy of his 16th birthday when he murdered SFC Speer. Footage aired on the popular American television program 60 Minutes shows Khadr laughing and joking while making and planting the kind of explosive devices that killed 97 Canadians in Afghanistan. Omar Khadr was no child soldier. Had he not been injured and apprehended that July day, he would have attempted to kill more NATO troops, and may have succeeded. Make no mistake about it, Omar Khadr chose willingly to wage war on the side of the Taliban. Mr. Khadr's defenders will point to his youthfulness as a reason to offer him leniency. This is absurd. In Canada, judges are commonly petitioned to sentence youth as adults. It requires the judge to determine whether the crime committed is severe and demonstrates premeditation. Cody Barnoski of Coburg, Ont. was 14 when he killed his mother. He received an adult sentence. Justin Morton of Oakville, Ont. was sentenced as an adult for using a belt to strangle a classmate at the age of 14. There are other sad examples. Those doubting whether Khadr is guilty of premeditated crimes need only review the footage of him playfully preparing IEDs. 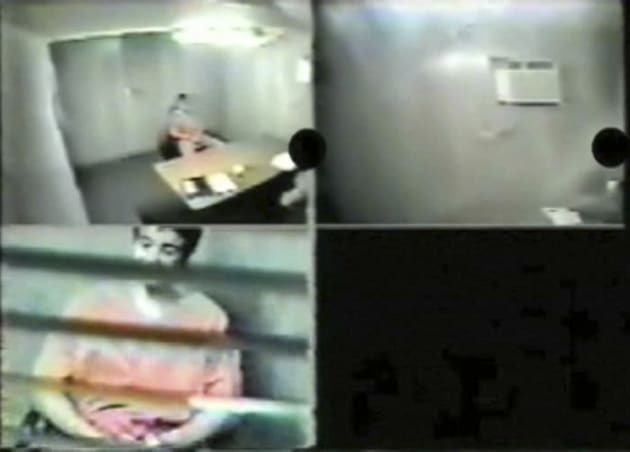 Omar Khadr, 16 years old at the time, appears in multiple video screen grabs during a February 2003 interview in the Guantanamo Bay prison. Contrary to propaganda, Mr. Khadr confessed to his crimes freely and of his own volition. He plead guilty in a military courtroom to crimes including murder, attempted murder, spying, conspiracy and providing material support for terrorism. Two weeks before Omar Khadr murdered him, SFC Speer was awarded the Soldier's Medal for risking his own life to save two Afghan children trapped in a minefield. In return, his life was taken from him by a terrorist. Canadians do not owe Omar Khadr an apology and we certainly don't owe him a cash prize. Moreover, the Trudeau Government promised in the last election to support veterans, which it has so far failed. No Canadian veteran who carries the physical or psychological wounds of an IED deserves less than the level of compensation now awarded to the man who planted such bombs. CORRECTION: An earlier version of this blog indicated that Omar Khadr pleaded guilty to crimes in a court of law. In fact, he did so in a military courtroom.